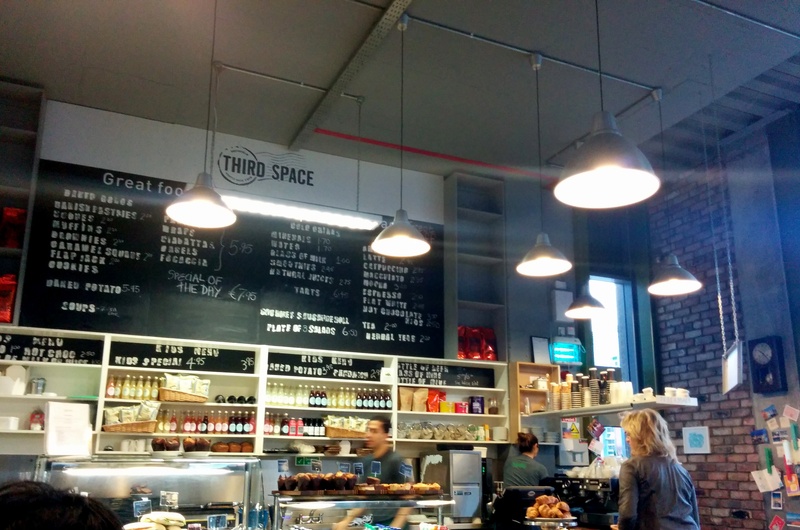 Third Space is a casual café wherein you order at the counter and then wait for your food to be brought to you. On this occasion I was feeling quite chilled so I decided to order their Irish whiskey porridge (€ 4.95). The menu online describes the porridge as accompanied by honey or fruit compote but this was not on the menu when I ordered it. Instead, my porridge came looking quite plain but tasting quite delicious. 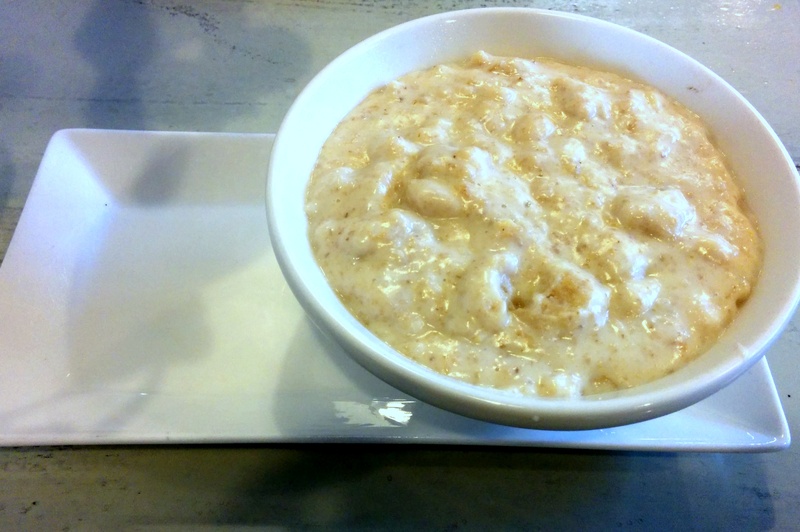 I don’t know what it is they do with the whiskey and how it interacts with the oats, but the porridge was hearty and comforting and the oaten lumps turned out to be light fluffy on the inside. 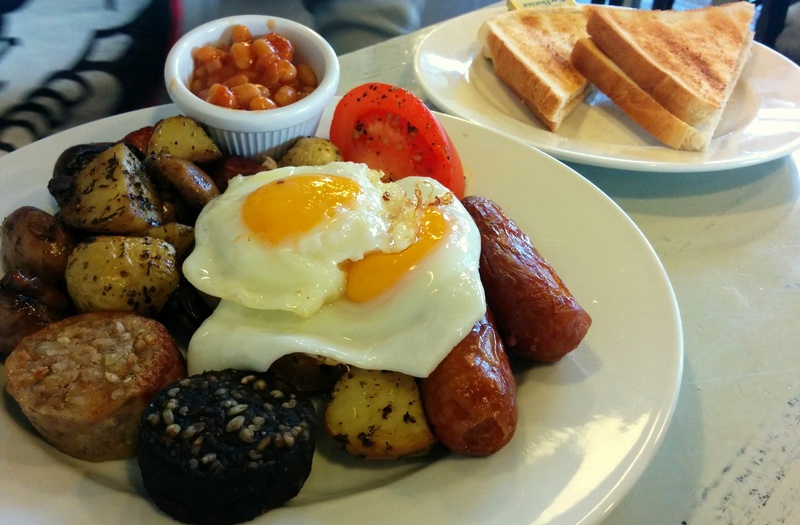 Jack shared in my porridge and then shared portions of his full Irish breakfast (€8.95), which came with fried eggs, bacon, sausage, beans, pan-fried potato, black pudding, white pudding, tomato and a side of toast. The amount was impressive, the puddings were quite flavourful and everything was steaming hot to boot. Well-cooked food means happiness for Jack and myself, really. Pros: The food is great and the atmosphere is warm. With their service system, food comes quickly and there’s no waiting for the bill afterwards. Cons: Cheaper breakfasts definitely exist elsewhere and the food, being a huge fry-up, can be a tad on the heavy side. Full Irish breakfasts are a treat if you’re not used to them, and having them here at the Third Space will leave you with no regrets, except for the fact that you might never meet Snowy at Oh Rourke’s!